Today I welcome Alexis Duran to the blog to answer a few questions for Author Interview³. The first short story I ever wrote I wrote in 24 hours at a “Ghost Story Weekend” retreat. I kept going to those retreats for about twenty years, and in 2008 I won a trip to a writers’ conference in the south of France with one of those Ghost Story Weekend stories. I wrote dark fantasy and mystery for years and years, but never sold a novel until I tried my hand at gay romance. The first novel I wrote in that vein, Touch of Salar, sold to the first publisher I submitted it to. John LeCarre, for elegance, Tom Robbins, for profound silliness, and Amy Tan, for magical realism. It is incredibly hard to narrow it down to three, but the first to come to mind are: Jonathan Strange and Mr. Norrell, by Susanna Clark. The depth and imagination of the world she creates is astounding, and she manages to hold the reader in exquisite tension through this enormous tome of a book. Neverwhere, by Neil Gaiman, again for the fantastic world building and riveting plot, and The Hobbit, which needs no explanation. I like a big juicy fantasy. Or mystery. Or romance. As long as it's big and juicy. Computer, of course. I can’t remember how I did it before. (I do remember, but it was slow and painful!) But I still need pen and notebook by my side for notes, scribbles and asides. A cabin on the Oregon coast. A cabin in the mountains. My boring old office with the comfy chair. 1. Prioritize writing. Set a writing schedule and stick to it unless something is on fire. 2. Share and be open to critiques, but don’t let anyone dissuade you from writing with negative comments. 3. Persistence is the key. The going will get hard, but don’t stop. Never surrender, Never give up. I plan to release Book 4 in the Jacqui the Cat mysteries series in September. I hope to finish Book 4 in the Masters and Mages series and release that before the end of the year. And finally, I’m writing another twisted fairy tale in the vein of Gryffon Hall, this time based on Snow White, and I would really love to finish it! 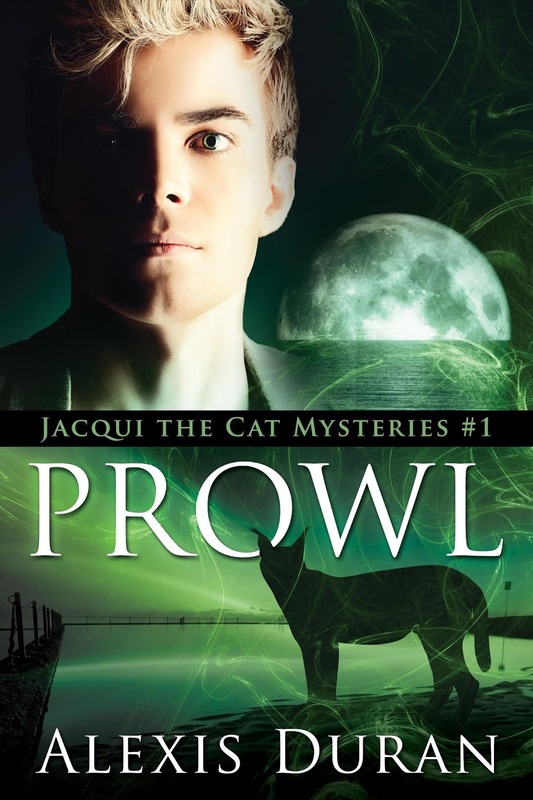 Well, I released three books at once in June: Prowl, Pounce and Roam, Books 1-3 in the Jacqui the Cat mysteries series. This is a new genre for me: cozy romantic mysteries with a shifter hero. 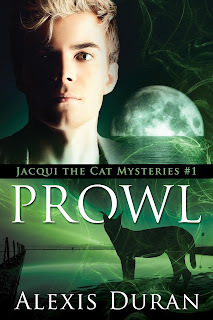 Jacqui, a fashion designer and cat shifter, is an absolute hoot to write. He’s a little prickly, a little socially awkward, and a little lost in the world of ordinary humans. Luckily he meets a super cute deputy sheriff who helps him find a home in Friday Harbor, Washington. Find the books on Amazon. Alexis Duran was born and raised in the Pacific Northwest. At the University of Oregon, her fascination with people and relationships led her to major in Sociology, but her main love has always been creative writing. She's worked in museums, fashion, finance, and film production. Her favorite job so far was inventorying the collection of a haunted Victorian Mansion. She is the author of the Masters and Mages, Edge of Night and Jacqui the Cat Mysteries gay romance series. Her fiction has won several awards including the Rupert Hughes Award from the Maui Writers Conference. She lives with one dog and four and a half cats. She is currently working on the next Jacqui novel, the next Masters and Mages novel, and several other projects.